Translation property results in a phase shift of the spectrum. (a) Original image. (b) The magnitude of the Fourier spectrum from (a) represented as an image. (c) The phase of the Fourier spectrum from (a) represented by an image. (d) and (g) are original image shifted by 128 rows and 128 columns, and 64 rows and 64 columns, respectively. (e), (h) The magnitude spectrum. (f), (i) Phase spectrum. 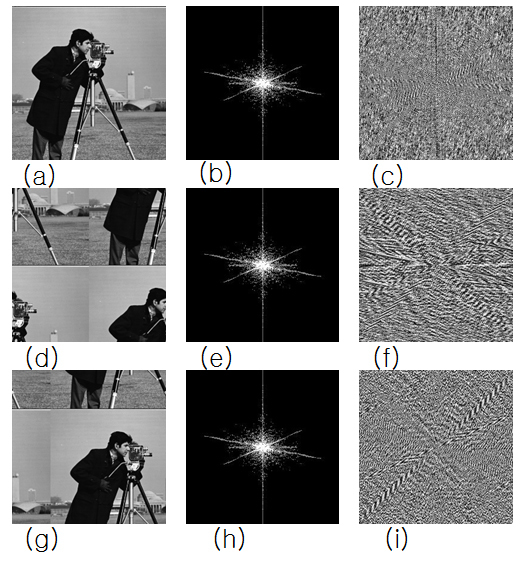 These images illustrate that when an image is translated, the phase changes, even though magnitude remains the same. Directing mapping of Fourier magnitude data. (a) Original image. 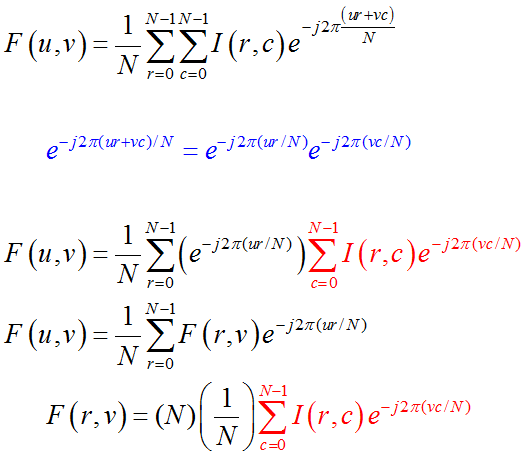 (b) The Fourier magnitude directly remapped to 0-255 without any enhancement. 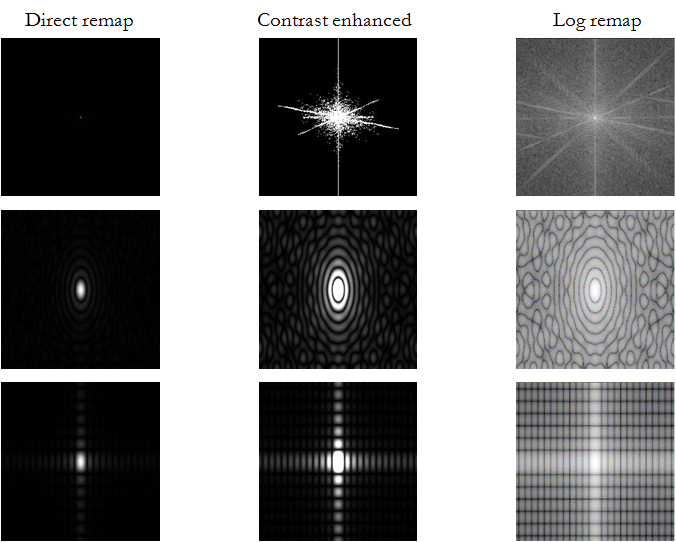 (c)-(e) Contrast enhanced versions of (b).